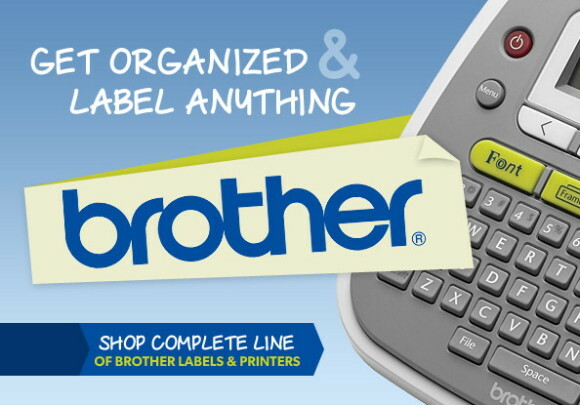 Shop our complete line of Brother P-touch tapes, labels & printers. Easily find the tape that matches your printer using our handy tape guides. - Variety of tape sizes, colors, adhesive types and more! At PtouchDirect.com we're upfront about when your order will ship and how much it will cost. In fact, you'll have several shipping options to choice from and can have your labels delivered in the time frame that best works for you! We never tack on any additional charges, like handling fees...AND, 98% of orders placed before 3:00 PM EST will ship the same business day. Order placed after will ship the next business day - this includes Next Day Orders. The Brother P-touch Electronic Labeling System is simply the fastest, most efficient way to create adhesive backed labels for virtually any home, office, business, school or industrial application. Organize your home, office or industry with a P-touch labeling systems. From handheld and desktop models to label printers that work wirelessly with your PC or Mac, P-touch electronic label makers produce durable, colorful labels. Nearly all of the P-touch products print on laminated labels that are resistant to water, spills, heat, cold and other harsh environments. Applications for Brother P-touch labels are virtually infinite. And Ptouch label makers are easy to use. 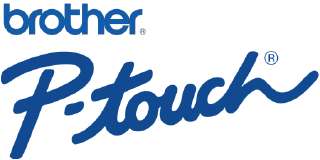 Millions of people have already found Brother P-touch printers to be an effective way to organize their homes and businesses. Label almost anything, anywhere, any time and PtouchDirect.com can help! Brother P-touch laminated tapes sticks to virtually any surface and are durable enough to withstand scrapes and abrasions. Because they're water resistant, they can be used outdoors, as well as indoors. They shrug off spills of any kind; from water, to oil, to chemicals and won't fade under harsh UV rays...AND, they withstand hot and cold environments from freezers to microwaves. Brother has laminated tapes down to a science, these labels are ptouchtough.